The Northern and Southern Lights as seen from the International Space Station. Constantly orbiting at 400 km (250 mi) above the earth, the ISS is perfectly situated to witness the beautiful streamers of green and red light emanating from the collision of highly charged solar wind particles with oxygen and nitrogen atoms in the earth’s atmosphere. 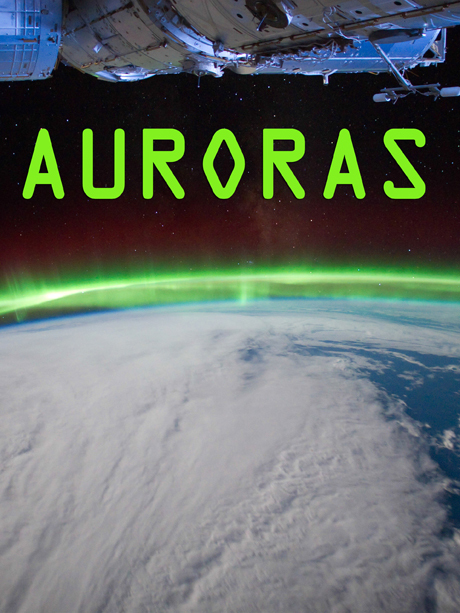 Centered about the northern (Aurora Borealis) and southern (Aurora Australis) poles the Auroras move in an almost hypnotic dance below the space station.